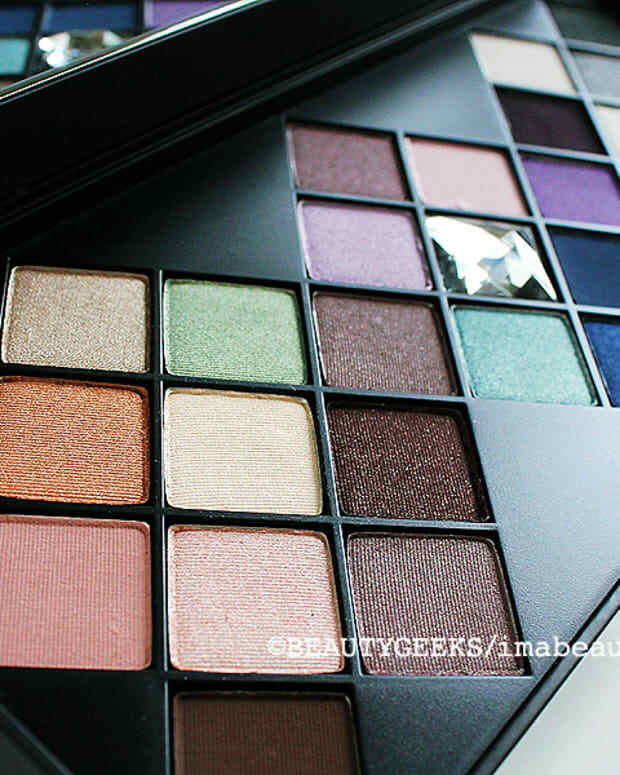 Love the gorgeous array of makeup palettes on display but don't know what to do with them? 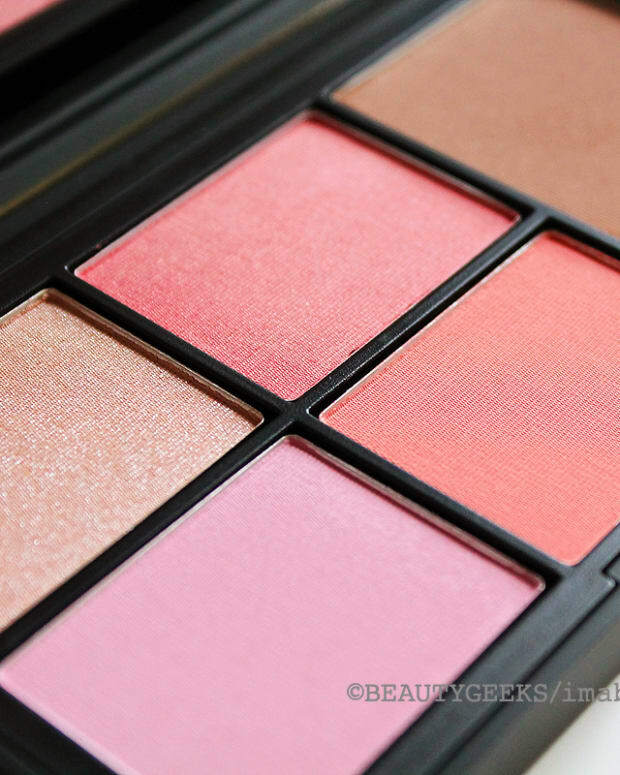 This one shows you how to get three looks from a kit with five shadows, three blushes and five lip shades. I&apos;m a sucker for beauty palettes. I don&apos;t necessarily use them -- the word is archivist, thank you very much. But one palette this season actually makes me want to use it. eyesÂ Sweep Shade 6 all over the lid from the lashline to brow bone. Add contour with either Shade 9 or Shade 10. Finish with a coat of mascara. cheeksÂ Sweep Shade 11 along cheekbones for a soft healthy glow. lipsÂ Brush on Shade 4 to keep lips looking their natural best. 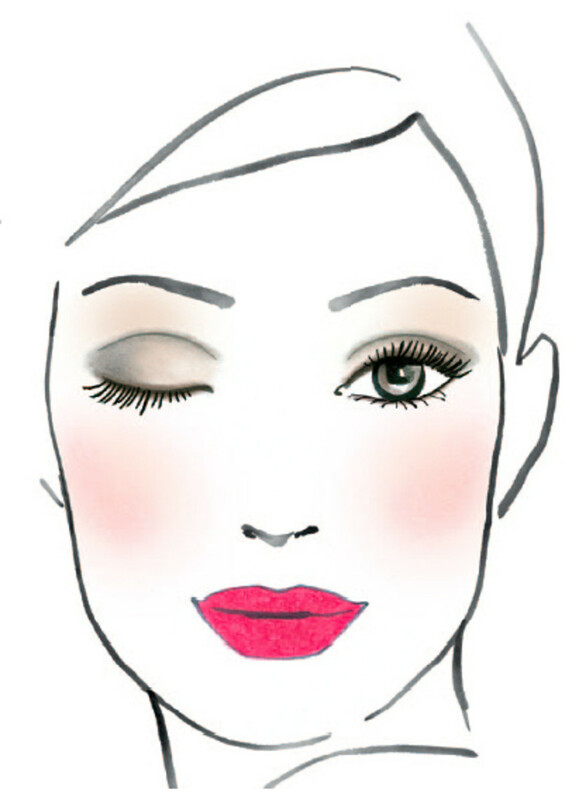 Dress lips up by adding a touch of Shade 3, or add in Shade 2 for a soft, rosy look. eyesÂ Sweep Shade 6 all over the lid from lashline to brow bone. Apply Shade 9 above the lashline from inner corner of eye to create a smoky look. Blend upward. For more intensity, apply Shade 7 in crease. Finish with volumizing mascara on the top lashes and Bottom Lash Mascara on the lower lashes. 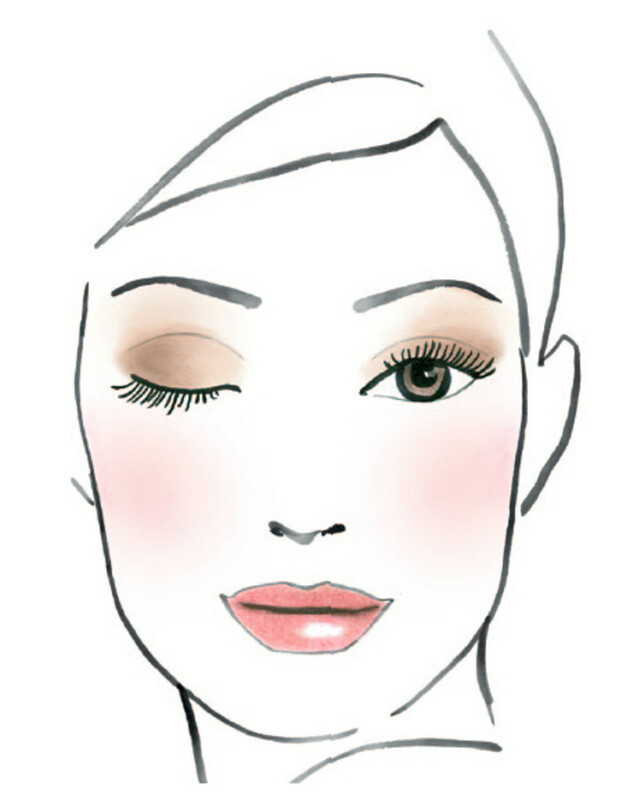 cheeksÂ Swirl Shades 12 and 13 together and brush along cheekbones. lipsÂ Brush on Shade 3. 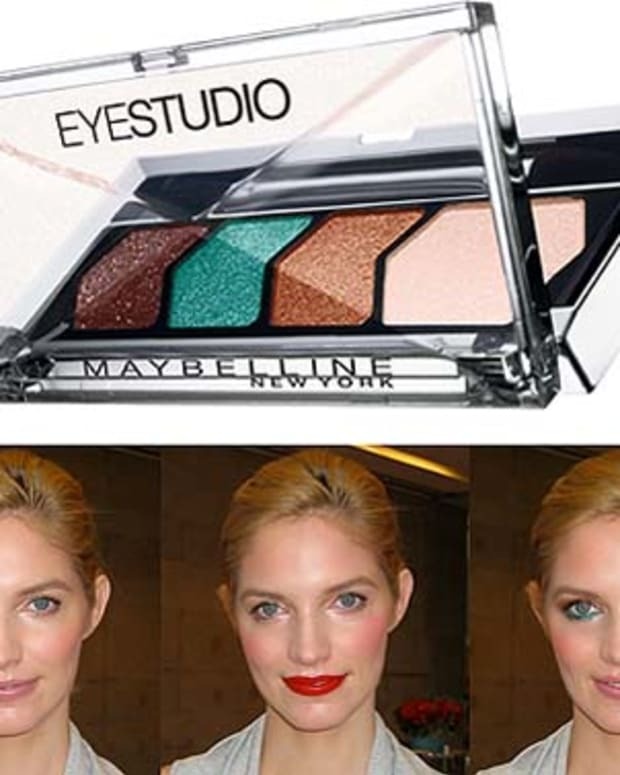 For a cooler, slightly muted red to complement the smoky eye, add Shade 1. To go warmer, add Shade 5.
eyesÂ Sweep Shade 8 all over lid from lashline to brow bone. Contour in crease with Shade 10. Apply Shade 9 to outer corner of eye to add definition. Finish with volumizing mascara on top and bottom lashes. 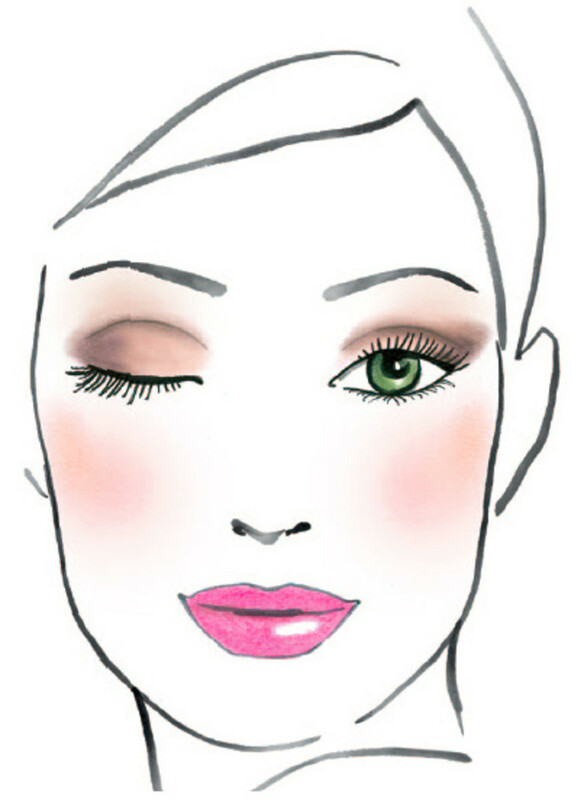 cheeksÂ For a sculpted look, sweep Shade 13 in the hollows of cheeks. Then brush on Shade 11 just above the apples of cheeks. lipsÂ Try Shade 2 on lips for a glamorous finish. To tone it down, add a drop of Shade 4. Or give it a violet twist by adding a touch of Shade 1.If you&apos;ve already picked up the Clinique holiday palette, you can download theÂ A Season&apos;s Worth of Pretty Booklet here. Does this inspire you to play more with any of the palettes you already own? For more pretty-compact suggestions, click on the opening photo of this post for my story in the current issue of The Kit. 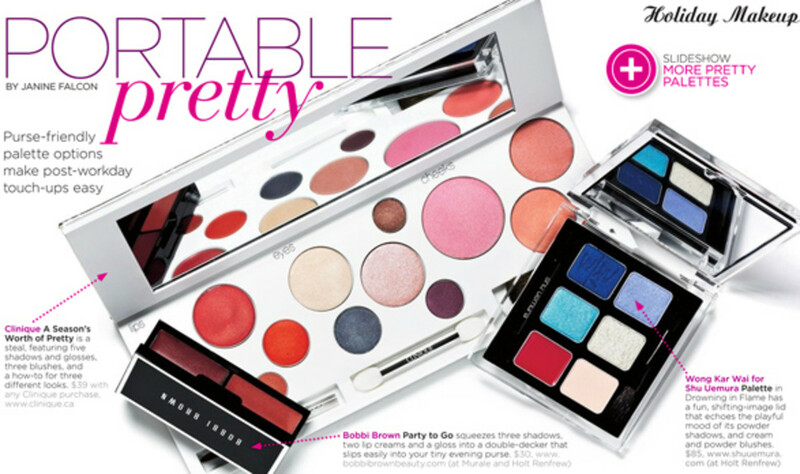 Clinique&apos;s A Season Worth of Pretty is available with purchase at Clinique counters and Shoppers Drug Mart across Canada.